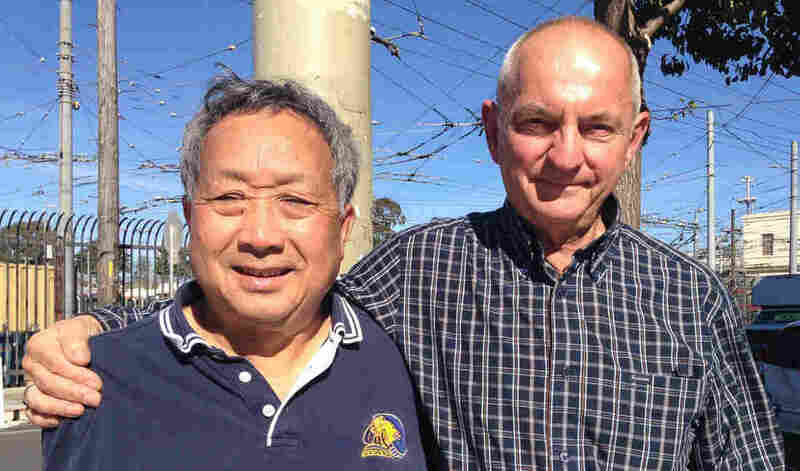 'I Found The Treasure When I Found You': 2 Veterans Rekindle Bond Forged By War John Nordeen and Kay Lee lost touch after serving in the Vietnam War. They recall how, decades later, they reconnected. "John, we were so lucky," Lee said. "We survived Vietnam and we're still here." 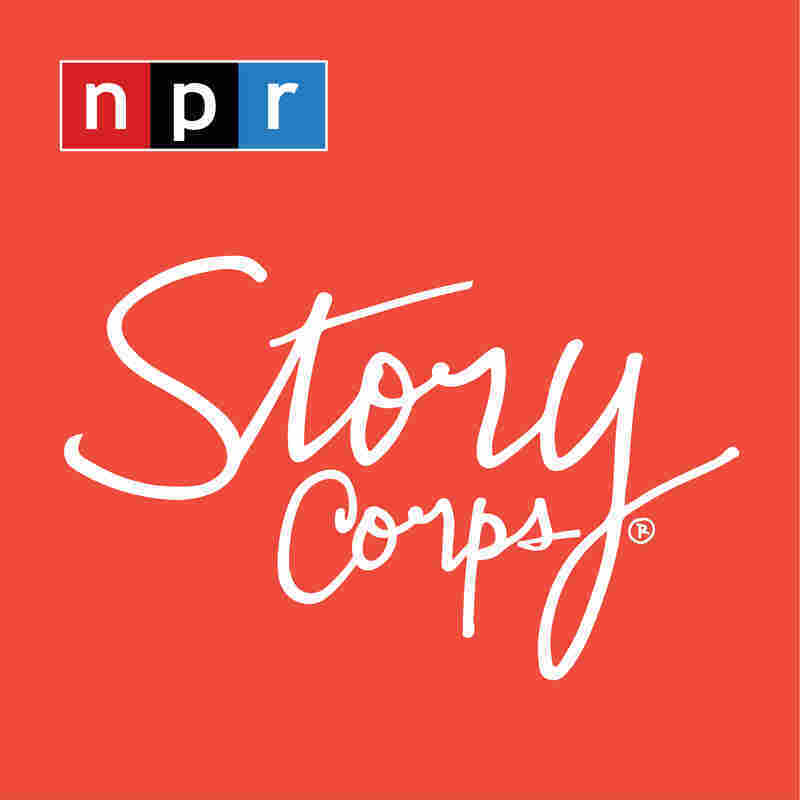 Kay Lee and John Nordeen last month, after their StoryCorps interview in San Francisco. The pair keeps in touch and sees each other frequently. John Nordeen and Kay Lee served in the same Army platoon during the Vietnam War. Nordeen and Lee had very different personalities, but in the life-or-death setting of war, the two bonded. Nordeen, a soldier from Seattle, was one of the first people that Lee, a combat medic from San Francisco, talked to. But after the war, they lost touch. In 2015, after a years-long search by Nordeen, the veterans finally reconnected. 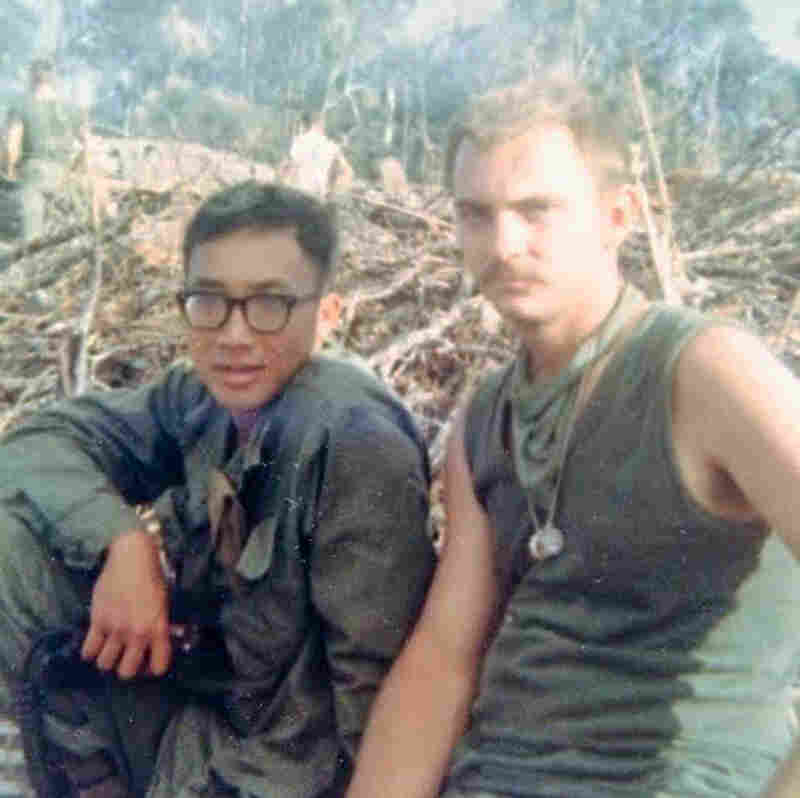 And last month, 50 years after leaving the military, Lee, now 73, and Nordeen, 71, sat down at StoryCorps to remember their time together in Vietnam. Kay Lee and John Nordeen, pictured in 1967 during the Vietnam War, met when they served in the same Army platoon. They lost touch after the war, but reconnected in 2015. "After one firefight, you came to me and you showed me a helmet with a bullet hole in it — and I can't believe that you're alive," Lee said. "All I can say was, 'John, I think you have a very hard head.' "
But some of their fellow soldiers had not been as fortunate during that battle, Nordeen recalls. "Our platoon went from like 29 guys to 10 guys in two days," he said. "So, the guys that were left, we had even stronger bonds because we had survived this together." Those intense feelings of loss carried long-term effects for Nordeen. "When you lose friends, you develop a hard exterior and you don't want to make friends with anyone else," he said. "So I don't have a big circle of friends. I think that's just one of many hang ups I brought home with me." For both veterans, returning home became a practice in forgetting. "When I got home, most of the time I tried to forget the whole experience and not think about it too much. And I didn't try to contact anyone because I'm not sure if you guys wanted to be contacted," Lee said. Nordeen told Lee, "Like you, I just melted into the woodwork like a chameleon." Once, when he was in San Francisco, Nordeen tried to find Lee. "I ripped a page out of the San Francisco phone book that's got all the Lees with the first initial K, and I started going through making phone calls," he said. It was an ambitious approach, Nordeen admitted. "How many Lees do you think are out there?" "A lot," Lee said with a laugh. As it turned out, calling all of the "K. Lees" in the Bay Area wasn't such a bad idea. One of the people who answered Nordeen's call was so intrigued by his search for Kay that she joined him in his pursuit — and helped him track down his friend. It took years to find him. "But I found my long-lost buddy," Nordeen said, "and it was just like we'd never been apart." "John, we were so lucky," Lee said. "We survived Vietnam and we're still here." They're also grateful for each other's friendship. "It's hard to describe, but the friendship and the bond that you form during battle is different than most friendship," Lee said. "It's like family now, so I'm very grateful for your effort to find me." Nordeen agrees. "Well, I feel like I'm a treasure hunter, and I found the treasure when I found you." Audio produced for Morning Edition by Jud Esty-Kendall with Grace Pauley.